As a province that borders Tibet, if there is only one area you can visit in China, it should be Yunnan. Snow-capped mountains, rivers, jungles, remote villages and breathtaking scenery make visiting Yunnan an experience like no other. 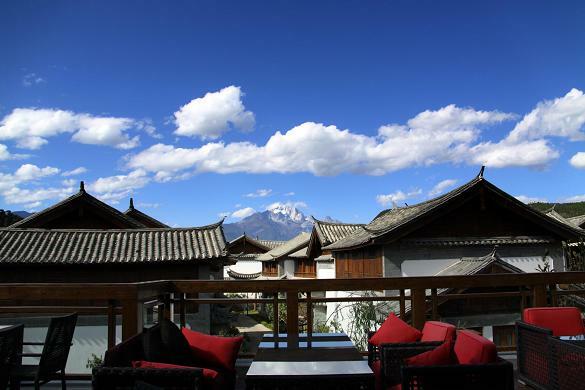 Private full-day tour, including the Jade Dragon Snow Mountain, Yuhu Village and old town of Lijiang Home to the Naxi people; cobbled streets, canals and a generally quaint town set against a stunning backdrop of the Jade Snow Dragon Mountain make Lijiang an extremely picturesque village. Visit nearby Yuhu Village; set at the foot of the Jade Snow Dragon Mountain and home to unique housing made from a unique stone called ‘monkey head’ – a combination of stone and mud. Private full-day excursion to the Tiger Leaping Gorge and the first bend of the Yangtze. The dramatic Tiger Leaping Gorge is home to very scenic hiking routes through quiet villages and farmland with spectacular views of the surrounding areas. Visit the first bend of the Yangtze River – a place where Tibetans once came to trade with the local people and a historical crossing point for armies, now attracts many who visit for the beautiful scenery on their way to the Tiger Leaping Gorge. See the bustling small market town located nearby. Private transfer by car from Lijiang to Dali (3 hours one way). Set between the Cangshan Mountains and Erhai Lake, Dali is famed for its traditional architecture and minority cultures. Stay 2 nights in Dali. Fly from Dali to Kunming or ‘Spirit City’, where you will be met and transferred to your hotel. Stay for 1 night.